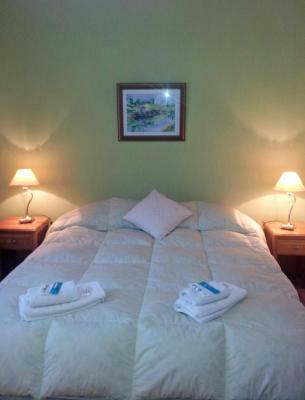 Lock in a great price for As Nancy B&B – rated 8.8 by recent guests! The owner was really friendly and helpful in any way. We could choose when to eat our breakfast. It was a quiet and relaxing place to stay at. We were warmly welcomed on Christmas! Also we could see the glaciar out the window! The owner provided me some advice what I can explore during my stay in Ushuaia. I was also able to join the shopping to a supermarket, which was nice since it was raining that day. Also, I was able to use my room till afternoon on the day of checking out. The staff, Sergio and Marcos, are incredibly kind and helpful, but hands-off if you’re more interested in keeping to yourself. Both the room and bathroom were spotlessly clean, and the room was very cozy, with a comfortable bed and view of the mountains. We stayed 4 nights in this b&b: the room was very spacious (we booked one with a private bathroom), warm and clean, with a very comfortable bed and nice cotton bedsheets. The owner was very welcoming and breakfast in the morning was amazing: homemade cakes and sweets, toasted bread and fresh coffee! It was really our best breakfast during our long trip in south America. Very nice and helpful owner, gave us lots of good advices and helped to organize the transport for the trip around Ushusia. We felt soon like at home. 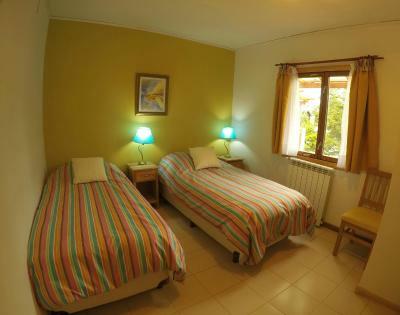 Confortable room, cleaned bathroom, and very nice accomodation. Serjio is a wonderful person. He was also helpful for the planification of the three days we spent in Ushuaia. Recommended! I really liked my stay here. My roon was very warm and cosy with clean shared bathroom. The hosts were so warm and friendly. The manager Sergio sits down with you at the start of your stay to give you an orientation about all the treks and activities available in the area. He will also help you book activities or transport if you wish. It's about 20min walk to the town centre - a very scenic and enjoyable walk down. 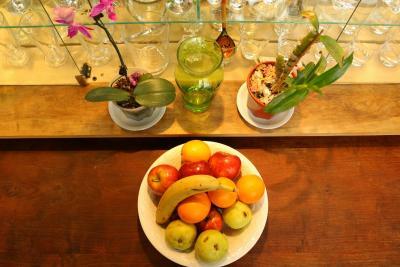 Simple breakfast provided each morning. Decent Wi-Fi. Great host family! Warm welcome, helped me with a lot of things, including transfer (for free). ... the best empanadas ever! A wild track for two hikes starts around the next corner. There are different rooms. I had the entire attic (roof-area) alone for me. There is no door, just a curtain, the floor cracks - nothing for people with a light sleep - but I Ioved it! The place is situated on top of the hill -> magnificent view (!! ), especially from the attic (sunset etc.) -> you have to walk uphill The area dosen't look safe - but it is very safe, really no need to fear. Really friendly B&B. The location was a little 10 minute walk from town and it was in a lovely quiet area. The room was comfortable, warm and lovely hot showers. 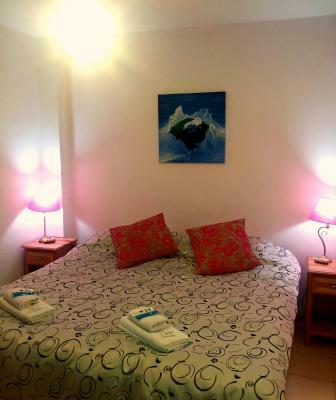 The bedroom was very comfty, the owner and staff were super helpful and extremely nice. They considered my condition as a celiac and bought for my breakfast special food. They also managed my transfers and offered me any ingo I needed. Plus, you could have two keys, one for the bedroom and ond for the outside door of the hostal. I would totally come back! 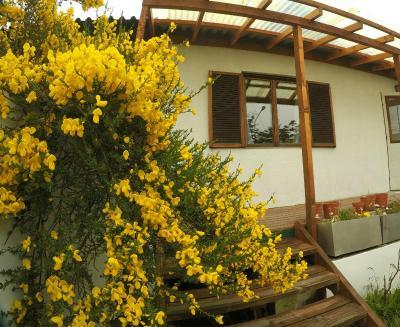 Only 1,950 feet from San Martin Avenue, As Nancy B&B offers rooms with free Wi-Fi and heating in central Usuhaia. 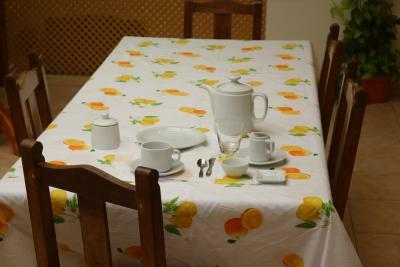 Breakfast is provided and there is a common kitchen. Caster Ski Center is 12 mi away. 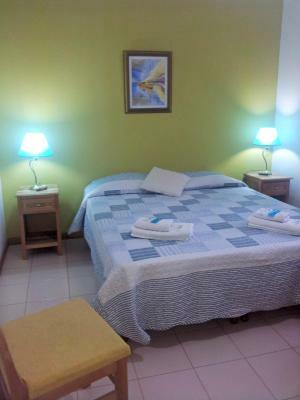 Decorated with tiled floors and stylish furnishing, rooms at As Nancy are very bright. Some of them have private bathrooms with a hairdryer. A continental breakfast with regional jams is served daily. 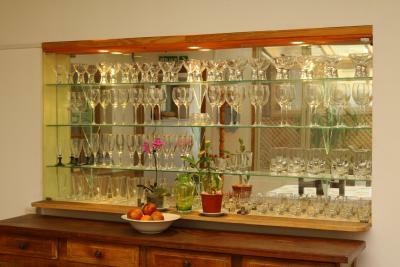 Guests can make use of the common kitchen to prepare heat pre- prepared meals. Guests can rent bikes to explore the city or enjoy themselves reading a book from the library. The Beagle Channel is 1,950 feet away. 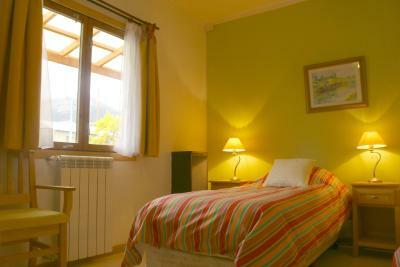 Nancy B&B is 4.3 mi from Ushuaia International Airport. This property is also rated for the best value in Ushuaia! Guests are getting more for their money when compared to other properties in this city. 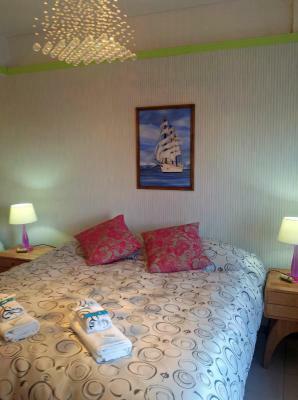 When would you like to stay at As Nancy B&B? 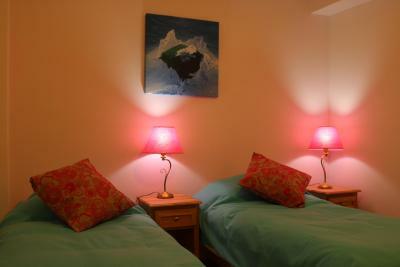 Features heating and shared bathroom facilities. Features heating and private bathroom with toiletries. House Rules As Nancy B&B takes special requests – add in the next step! 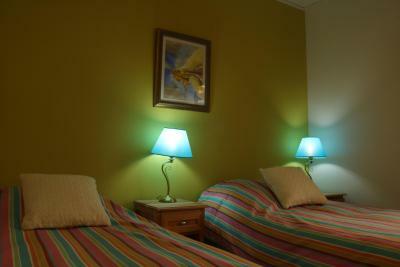 One older child or adult is charged USD 12.20 per person per night in an extra bed. As Nancy B&amp;B accepts these cards and reserves the right to temporarily hold an amount prior to arrival. As Nancy B&B accepts these cards and reserves the right to temporarily hold an amount prior to arrival. Please note that smoking is not allowed in the premises, however there is an external garden to do so. Please inform As Nancy B&B of your expected arrival time in advance. You can use the Special Requests box when booking, or contact the property directly using the contact details in your confirmation. The only thing that could have been better was the breakfast. It was delicious, but comprised of various pastries and coffee—classically Argentine, but some fruit would have made it incredible. Breakfast was very simple, bread and coffee. Some extra might be nice. 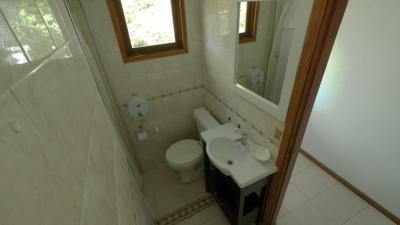 It was only one bathroom (one W.C. with a shower) for the three bedrooms (7 or 8 people) on the first floor. 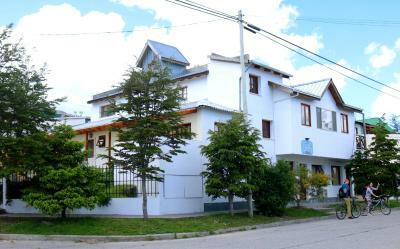 The WiFi is very slow but appears to be a problem across Ushuaia so cant really fault the bnb. Just try to organize any important further travel plans beforehand!